Five years ago I spent a week staying with friends in France. 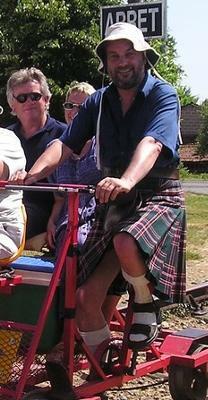 I always wear a kilt and so it was the order of the day when they took me on a Velorail near their home. The experience of cycling along a disused railway line, and especially when freewheeling downhill was very refreshing. I'd recommend it to any serious kilt devotee!